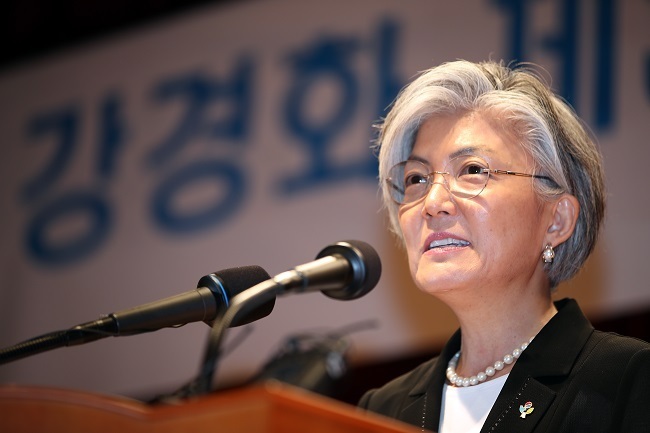 South Korean Foreign Minister Kang Kyung-wha and her Japanese counterpart agreed on the need to cooperate in North Korean issues in a telephone conversation, Seoul’s Ministry of Foreign Affairs said Wednesday. Kang and Japanese Foreign Minister Fumio Kishida spoke over the phone, during which the Japanese top diplomat congratulated Kang on her inauguration earlier this week, according to the official. According to Seoul’s Ministry of Foreign Affairs, the two ministers discussed pending issues including that of North Korea’s nuclear program, and agreed to work together in bringing about denuclearization of the Korean Peninsula. On the issue of Japan forcing Korean women into sexual slavery during its occupation of Korea, the two ministers only confirmed the differences in the two countries’ positions. 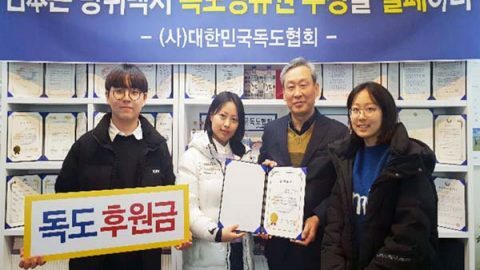 “The reality is that the majority of Koreans and the victims cannot accept the agreement, the two sides must cooperate to resolve the issue wisely,” Kang was quoted as saying in the phone conversation. Kang was responding to Kishida’s comment that the agreement should be implemented. 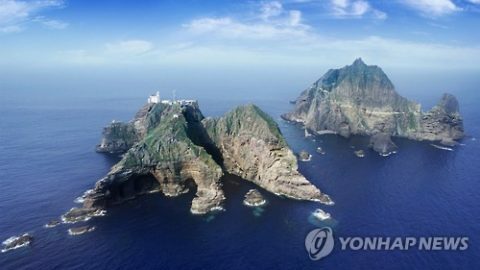 Seoul’s Foreign Ministry also said that Kang expressed regret over Japanese education authorities’ claims on South Korea’s Dokdo Islets, and called for an end to such claims. 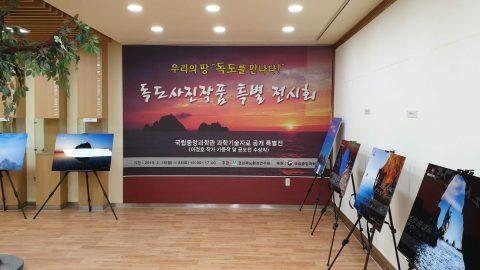 The phone talks came after media reports that Japan’s education ministry is to announce an education manual on how to teach elementary and middle school students that includes Tokyo’s renewed claims to South Korea‘s easternmost islets of Dokdo. 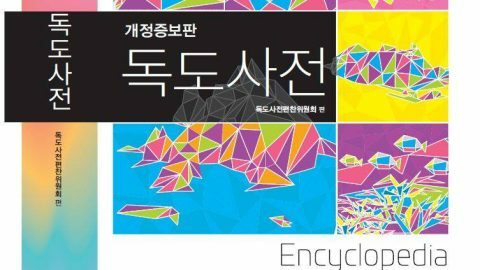 The manual, which will be adopted by elementary and middle schools from 2020, states that Dokdo is being illegally occupied by South Korea, and that Japan has been lodging complaints against Seoul’s illegal occupation. Along with Korea’s Dokdo, the manual affirms the Kuril Islands and Senkaku Islands as Japan’s territory. The Kuril Islands are the subject of territorial dispute between Japan and Russia, while Japan has been feuding over the Senkaku Islands with China. The manual also includes detailed instructions on educating students on the role of Japan Self-Defense Forces, and issues regarding Abe administration’s push to revise the constitution.